There was plenty of tension anyway between the (largely Protestant and English) and (largely French and Catholic) colonists but the excuse for attack came from Europe. Britain’s King James II (leaning Catholic) was deposed by the Parliament (Britain now leaning largely Protestant) and fled to France. His daughter (Mary) and her husband (William) invaded and replaced James (The Glorious Revolution – 1688). William joined the League of Augsburg in its war against France. 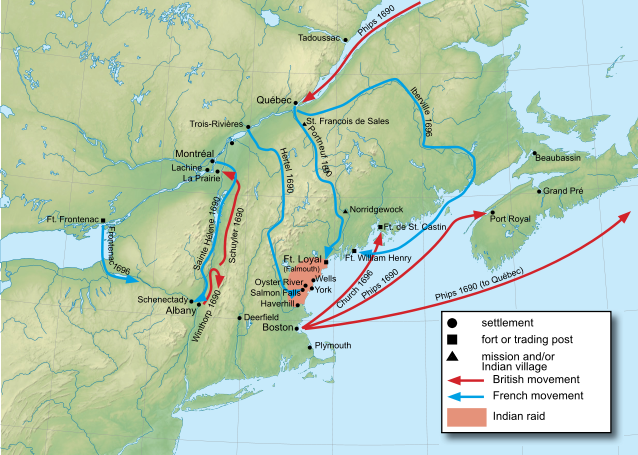 In the colonies the parties were the English colonists (forced reluctantly to temporarily unite as of 1686 as The Dominion of New England and the Iroquois Confederacy vs. the colonists of New France (Canada and what would become upstate New York) and their Wabanaki allies. 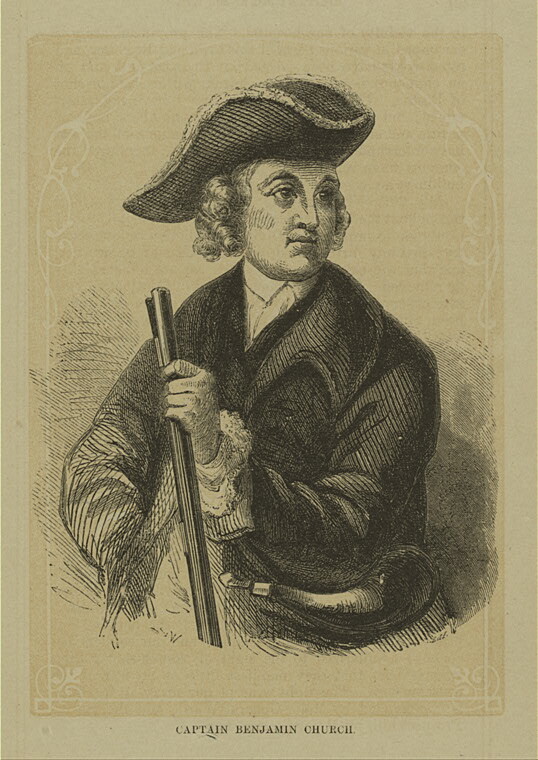 -First seen in the Indian war with Metacomet “(King Phillip”), Captain Benjamin Church would emerge as an early colonial hero and father of the guerrilla military tactics borrowed from Native Americans that would reappear with Robert’s Rangers and the militiamen of the Revolutionary War.